Samsung Electronics today announced the Samsung Galaxy S10 5G will be available for purchase in Korea starting April 5, 2019. Over the past decade, Samsung has worked closely with network operators, device manufacturers and software developers to make 5G a reality with its complete end-to-end solution. Now, consumers will be able to unlock an entirely new mobile experience with the most advanced network available and the powerful and innovative features of the Samsung Galaxy S10 5G. 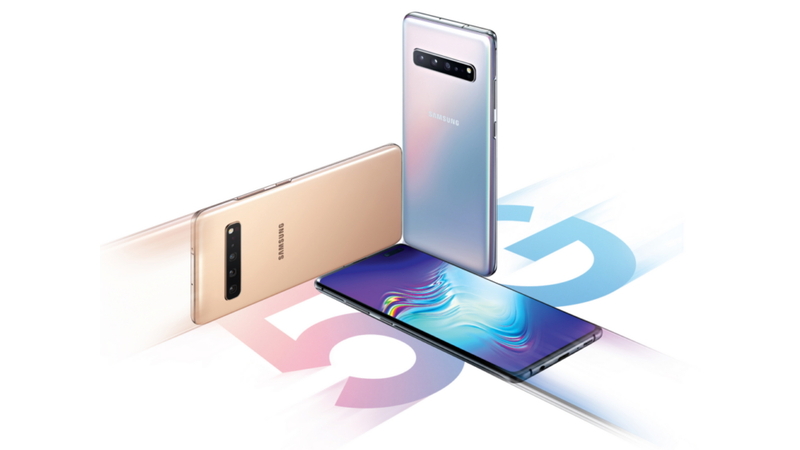 As one of the only companies with an end-to-end 5G solution from chipsets, network core, radio solutions and user devices, Samsung is uniquely positioned to deliver a next-generation smartphone and network – in Korea, the 5G commercial network has been on air since December 1, 2018 by all mobile operators using Samsung’s 5G network core and radio solutions. The introduction of the Galaxy S10 5G is a key milestone in Samsung’s research and development that also includes key breakthroughs like the world’s first gigabit speed 5G transmission, the first 5G handover between multiple cells, and now, its first 5G smartphone available on the market. To take full advantage of the increased power of 5G, the Galaxy S10 5G includes new advanced features that expand the viewing experience with the largest display available on a S Series device, create stunning photos and videos with intelligence and offer the powerful performance needed to keep pace. Large Viewing Experience: The Galaxy S10 5G’s 6.7-inch Dynamic AMOLED display with edge-to-edge screen allows digital 5G content to be seen as it was intended. Samsung has developed a visual display that fully immerses consumers in the high-quality HD content, games, augmented reality and video conferencing made possible through 5G. Pro–Grade Hexa Camera: The Galaxy S10 5G significantly upgrades the smartphone camera with a neural processing unit (NPU), to help with the perfect shot, as well as six total cameras including the 3D Depth Camera. It accurately provides depth information by measuring the length of time for a light signal to bounce off subjects to deliver bokeh effects with Live focus video, measure objects with Quick Measure. Ultimate Performance: In addition to delivering the speed to download a season of HD television in minutes or buffer-free experiences for uninterrupted streaming, the Galaxy S10 5G packs a 4,500mAh battery for streaming content and playing games without needing to recharge frequently. For those times where power may be low, the Galaxy S10 5G uses Super Fast charging at 25W. For more information about the Galaxy S10 5G, visit news.samsung.com/global/galaxy, www.samsungmobilepress.com, or www.samsung.com/galaxy.